The popular interiors blogger Zoe Brewer has joined forces with Dr. Beckmann to bring you a 2 minute masterclass in removing carpet stains. 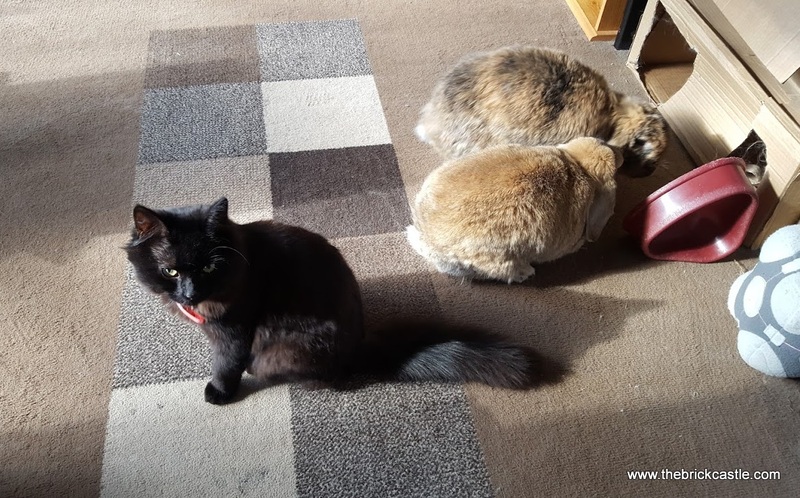 Keeping all of your carpets clean and smell-free can be a real challenge, especially if (like me) you have pets around the house, but Dr. Beckmann’s Carpet Stain Remover is the perfect solution. Dr. Beckmann’s Carpet Stain Remover has an rrp. of only £3.59, and for two years in a row has been awarded two of Which? Magazine’s coveted awards - ‘Best Buy’ and ‘Best Value’. The revolutionary cleaning brush allows the fluid to penetrate deep into the the stain, whilst also neutralising any odours. It can tackle a whole host of stains including red wine, chocolate, curry and ice cream, and is the ideal product for pet stain accidents. 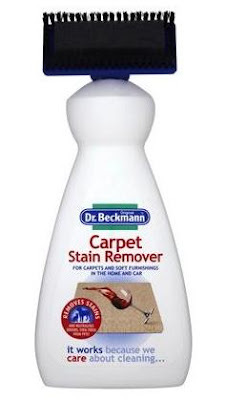 Dr. Beckmann's Carpet Stain Remover is the perfect product for helping to restore carpets to their former glory, removing the entire stain and not leaving behind a shadowy smudge. I've used it many times myself, and I've always been impressed. The product smells great, no clinical smell lingering making your living room smell like a bathroom, and it cleans as well as you could ever hope. I must have removed gallons of mud over the years with Dr Beckmann's Carpet Stain Remover - it's great for cleaning a campervan or car interior. For best results remember the instructions from Zoe Brewer - shake and squeeze to release the formula and brush inwards into the stain. Leave for three minutes and then dab with a damp cloth to get rid of even the toughest blemishes. Don't forget Dr. Beckmann don't only make Carpet Stain Remover, they also help clean appliances and laundry. We previously reviewed Dr. Beckmann's Deep Clean Dishwasher Cleaner. I was paid for my time taken to write this post. I have an English Bulldog and every now and then she throws up on the carpet due to swallowing something she shouldn't have swallowed which leaves a spot on the carpet. Having a good cleaner like this to spot clean is definitely worth having. Totally. Dog vomit really isn't something you want to smell for long.